Raised in a family that honors love, natural health, nutrition and the innate power of the body, Celeste strives to remind us that we have the ability to heal and achieve anything we wish. She has a Bachelor's degree in Holistic Health from Hendrix College in Conway, Arkansas. 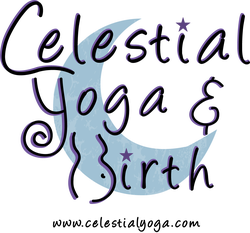 She feels blessed that her parents practiced Kundalini Yoga while she was in the womb and believes it led her to LOVE teaching prenatal yoga to women as they connect deeply with their babies! Her first childhood memory is of her younger sister being born at home. These formative experiences led her to pursue being a doula (labor support), child birth educator and empowering women to birth intuitively and fearlessly. Her journey into motherhood has also birthed a new adventure of leading Mother Love Circles & Spiritual Sisterhood gatherings/retreats. She currently teaches her classes & workshops in Tulsa, where she lives with her husband and children. Celeste originally got her Kundalini Yoga certification in California with Guru Rattana and has recently trained with Internationally recognized Ravi Singh & Ana Brett. She has over 400hours training and 13 years experience teaching. Tell us what is on your mind! !